Join mindfulness and meditation teacher Maya Nova and yoga teacher Wendy Douglas, for an another Winter Solstice weekend of holistic Well-Being in the stunning Aiowira centre, nestled deep in the lush tranquillity of the Waitakere ranges, only a 30 minute drive from Auckland City. Early bird $525 if you register by May 1st. Does your life feel, chaotic, madly busy? Is your mind over-full, do you feel like you are juggling too many things at once? Are your thoughts creating peace and a sense of wellbeing, or stress? Are your thoughts creative and productive and encouraging or do they drag you down? Would you like to have a bit more peace, clarity and joy in your life? Rediscover joy that comes from being present and available to life in the present moment. “This was my first workshop. It was a chance to stop and revisit what I love. I can sit, breathe and observe and appreciate myself. Maya has a presence and an aura, her delivery is calm and perfect for me. She feeds your soul. This retreat is filling up fast! Join myself and yoga teacher Wendy Douglas for a weekend of holistic Well-Being in the stunning Aiowira centre, deep in the lush tranquility of the Waitakere ranges, only a 30 minute drive from Auckland City. My whole life has been a long and winding journey towards a greater understanding of well-being - an experience of abundant energy, joy, contentment and a clear sense of purpose. I have found that there a few key ingredients that are vital to our physical, emotional, mental and spiritual wellbeing. Delicious organic energy restoring food will be served (we will start the day with a window of intermittent fasting and a freshly pressed organic juice to lightly detox). Wendy is passionate about helping people to fully connect with their whole selves. Encouraging and uplifting people in their day to day lives. Bringing fun and lightness to the practice of yoga. Building a community of likeminded people. It's impossible to not feel joyful and uplifted in Wendy's presence. Here is the pic of the two of us at the recent NZ Spirit Festival. Join us to explore foundations of wellbeing! Outward Bound Wellbeing programme takes traditional mindfulness practices and blends them with the classic elements of an Outward Bound course. This experience of sailing through the Marlborough Sounds, taking on physical challenges and pushing you to do your best will give you a new perspective and allow you to see aspects of yourself that you may not have realised were there. It will reconnect you with your true self, giving you more confidence and motivation than ever before. The course is designed to help adults who are seeking greater clarity – perhaps in times of challenge and transition – who need space to reflect on their lives or who want to learn or deepen a meditation practice – or who simply want to walk their own path more deeply. With the guidance of our expert facilitator Maya Nova and our world class instructors, this course will leave you more present, relaxed and aware of who you are and what unique gifts you have to offer the world – and help you feel ready to take on new paths or challenges in the real world. FREE event hosted by Spirited Business Network. Are your thoughts creating peace and a sense of wellbeing, or stress? Are your thoughts creative, productive and encouraging or do they drag you down? Cost for this daylong workshop is $150. This one day workshop is based on the seminal Buddhist text of mindfulness instructions called Satipatthana which covers the four foundations of mindfulness. The four foundations of mindfulness workshop will be held in Devonport at the foot of Mt Vic. During the lunch break you can enjoy lunch at one of the many Devonport cafes, walk down to the water of up the hill. During the workshop we will practice the four postures embodied in meditation: walking, sitting, standing and lying down. The focus will be on embodying the four foundations of mindfulness in meditation practice and in everyday life. is our body. 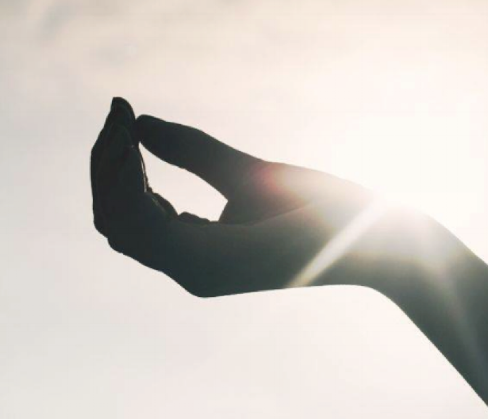 Through the practice of mindfulness of breath and the four postures of the body(sitting, walking, standing and lying down) we can gain more awareness of the five senses and our innate capacity to connect with the present moment through breath and the grounding of awareness in the body. is mindfulness of sensations and feeling tones in our body. It is so easy to develop a knee jerk response to the feeling nature of our experience which manifests as the aversion towards the unpleasant feelings, craving towards the pleasant and zoning out and boredom towards the neutral. The second foundation of mindfulness has at it’s heart the development of equanimity. is about awareness itself, the knowing quality of the mind and the exploration of consciousness. Everything that arises in the mind – a thought, an opinion, a memory, a belief, feelings of anger of fear or desire – all these mental objects can be experienced calmly, with awareness and clear perception. Is awareness of mental factors. They can be positive or negative, leading away from or towards the suffering. We will look at hindrances as well as the factors of awakening. This is a regular meditation group which meets on Wednesdays at 7.30 pm at the Scout Den in Devonport. Please contact me before you come along. Balance is such an elusive thing, isn't it? And when we lose our equilibrium nothing is quite right with our lives anymore. Equanimity is a state of mind which is calm, centred, non-reactive and accepting. The opposite of an equanimous mind is one that gets lost in judging, reacting and proliferating. Join me for this 3-hour workshop and find the space to unwind and restore your equilibrium. All welcome! Take this Sunday morning to see how mindfulness can help. So many things are out of our control but you can choose how you respond. Rediscover the joy that comes from being present and available to life in the present moment. Mindful Soundscapes is a collaboration between mindfulness and meditation teacher Maya Nova and musician George Edgar (Molly and the Chromatic, Lakes). Join us on this mindful co-creative exploration of music and meditation at the foot of Mt Vic in Kerr Street Artspace in Devonport to enjoy sweet sounds , deep relaxation and magnificent views of Auckland Skyline. This space is cosy and warm but please bring a blanket, a yoga mat if you have one and some cushions. Herbal tea will be served. Both music and meditation have the capacity to open and expand our minds and hearts and let our spirits soar free. Maya will be guiding the meditations and George will be layering the sounds - we will dive deep into presence, joy and creativity together - come play with us! Cost: $20 - we want to be as inclusive as possible for this event so if price is the problem just contact us.